Are you wanting something unique and memorable for your wedding entertainment that everyone can enjoy? Or looking for an photo booth alternative? Look no further! We provide truly unforgettable and immersive virtual reality and gaming experiences for all ages, genders and levels of gaming experience. Video games are more popular than ever before, bringing people together and providing hours of fun and entertainment for everyone. 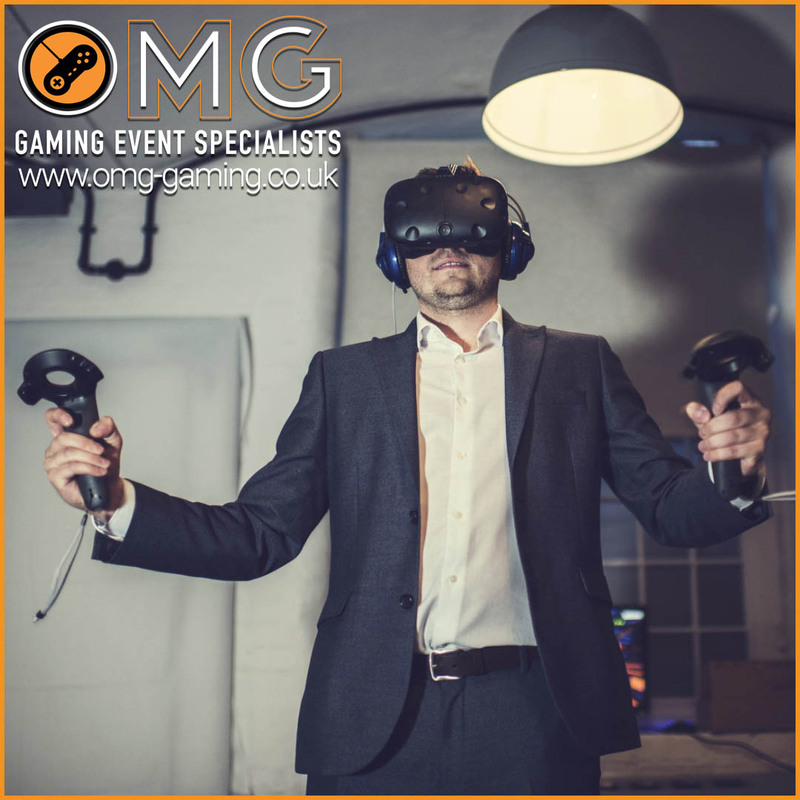 We can bring the latest in gaming technology and the best games and experiences to your wedding, making it a truly memorable occasion for you and your guests. 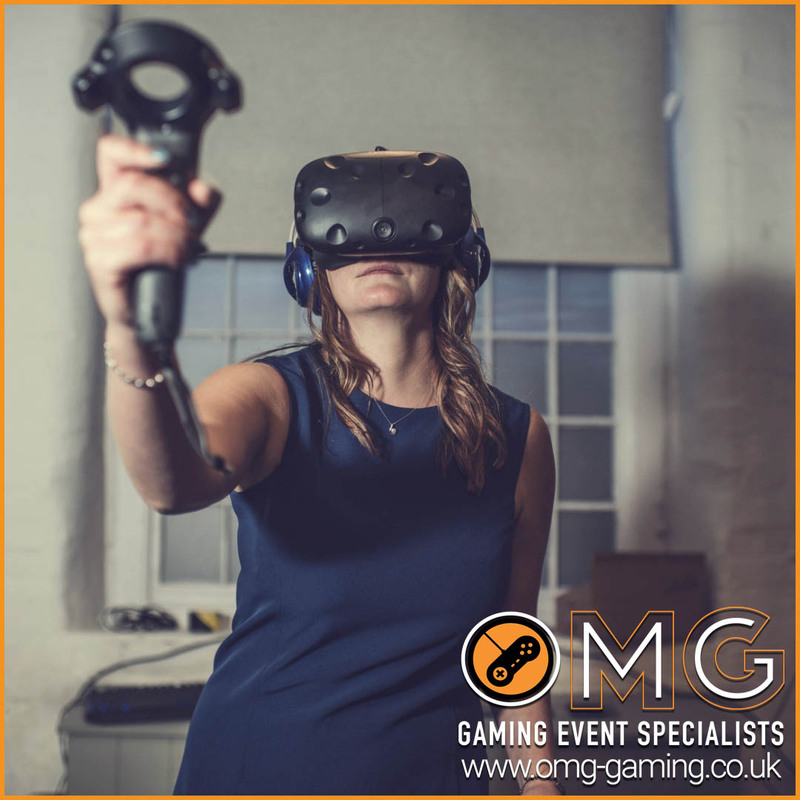 Rest assured that with our wide range of games and technology we have perfect experiences for everyone, including virtual reality dancing games, sports games, racing simulators and zombie survival experiences. 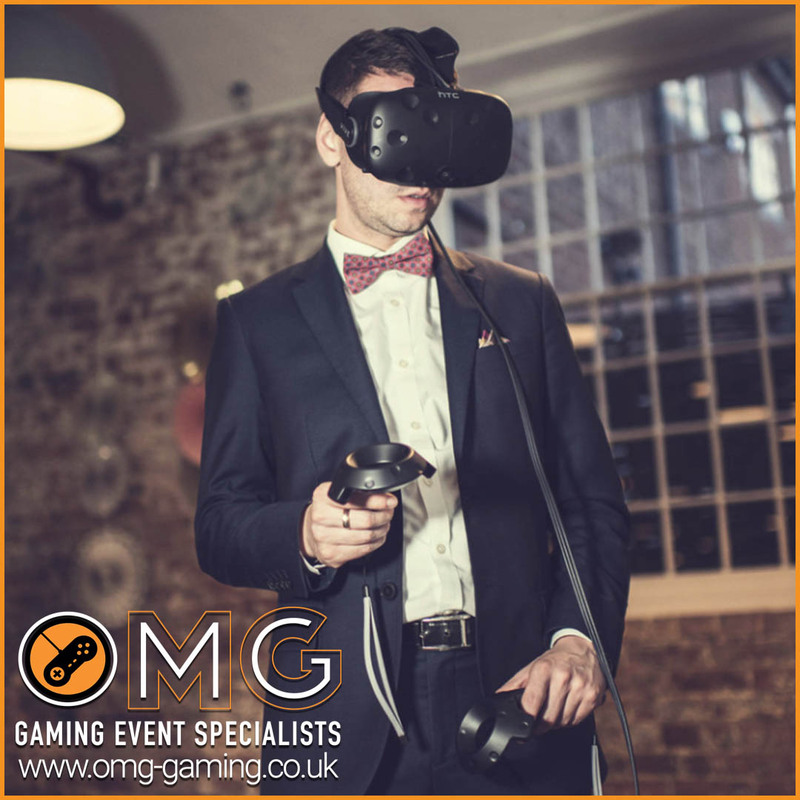 We understand the stress of wedding planning and want to help reassure you that with OMG Gaming wedding entertainment there will be one less thing to worry about. Our experienced and friendly Game Masters will sort out all the pre-planning with you, your wedding planner and the venue in advance to make sure your wedding is as stress-free and incredible as possible. We can set up our virtual reality and gaming experiences in any indoor or outdoor space. Our experienced and professional team will set up well in advance and pack away quickly. We will also make sure everyone gets a chance to have a go and all experiences are fully explained to guests so they get the most out of the experience. If you have any questions please read our FAQ page or get in touch via our booking form.